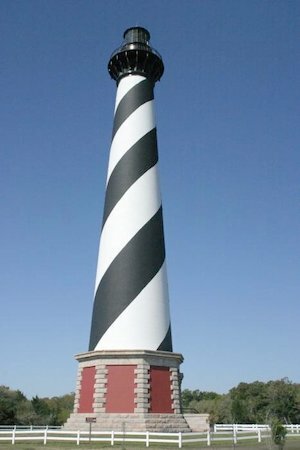 Cape Hatteras lighthouse. By Henryhartley, CC BY-SA 3.0Sept. 11, 2018 (Huffington Post) -- In 2012, North Carolina legislators passed a bill that barred policymakers and developers from using up-to-date climate science to plan for rising sea levels on the state’s coast. Now Hurricane Florence threatens to cause a devastating storm surge that could put thousands of lives in danger and cost the state billions of dollars worth of damage. And the rise in sea levels, experts say, is making the storm surge worse. Sea level rise is a direct consequence of global warming; the warming of the ocean has resulted in thermal expansion and melted ice sheets and glaciers that are causing the oceans to rise. Since 1950, the sea level has risen 6.5 inches -- a number that sounds small but has actually had major consequences across the country.